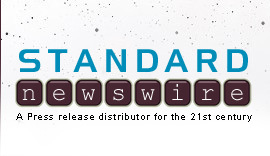 EXTON, Penn., Feb. 6, 2019 /Standard Newswire/ -- Thank you for your work in Catholic Media from all of us at Ascension Press! This month Dr. Edward Sri is looking for opportunities to talk and share the news about his latest Lenten work, "No Greater Love." Filmed in the Holy Land, the study features prominent Catholic influencers like Jeff Cavins, Teresa Tomeo, Jennifer Fulwiler and Fr. Mike Schmitz. The official press release is included below. 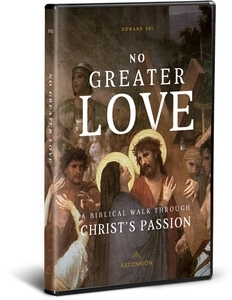 Ascension, the world leader in Faith Formation, announced today it has scheduled a February, 2019 release of a new 5-part study program and corresponding book called No Greater Love: A Biblical Walk through Christ's Passion, presented by Dr. Edward Sri. The new program will include a 5-part video series, a "bonus" sixth segment on Christ's Resurrection, a Workbook for both individual and group study, and the most anticipated book of the same title. "We are thrilled to welcome the estimable Dr. Sri again in the Ascension fold," said Product Manager John Harden. "He is among a handful of pre-eminent evangelists in the Catholic Church and no one in our generation has spent more time studying and reflecting on the full significance of Christ's Passion and Death." The new program was filmed on location in the Holy Land. It focuses on the Agony in the Garden, the Trial before Pilate, the Carrying of the Cross, and the Crucifixion at Calvary. "Though we celebrate Christ's Passion during Holy Week every year, we can easily lose sight of its profound meaning for our lives," Dr. Sri said. "This new series examines some of the tough questions: Why did Christ have to die for us? What did His death accomplish? Why was He willing to do what He did?" Dr. Sri is the Vice President of Formation for FOCUS, the Fellowship of Catholic University Students, and the author of a number of popular books on the faith, including: A Biblical Walk through the Mass; Mary: A Biblical Walk with the Blessed Mother; Who am I to Judge; and The Bible Compass. "This new program is for anyone who wants to experience a deeper relationship with Christ, and experience more deeply his extraordinary love for each of us," Harden added. "After all, Christ's Passion and Death is central to who we are as Christians." For review copy inquiries, interview requests and further information, please contact Renee Shumay at newsroom@ascensionpress.com or 484-870-2110.